Yes, that’s correct…65 gratitude resources. Don’t be overwhelmed, this article can serve as a reference to come back to any time. 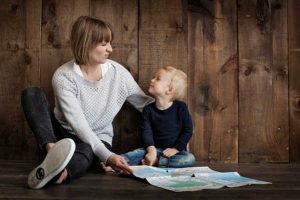 Are you a parent, looking to educate your children about gratitude? Or, are you a mental health practitioner looking for novel ideas to help clients? Perhaps you are a school teacher. This article is designed to be a go-to source for you to access great books, Ted Talks, videos and more about gratitude. I hope that it is really useful. Perhaps you are interested in gratitude and have a little bit of time up your sleeve. Why not read a book? Below are some which you may enjoy. Amazon links are provided for your convenience. The Little Book of Gratitude, by Robert A. Emmons (Amazon) – This book discusses the benefits of gratitude and provides easy ways to enhance and promote gratitude every day through doing simple techniques. It also includes an 8-week gratitude plan. Choosing Gratitude: Your Journey to Joy, by Nancy Leigh DeMoss (Amazon) – This book comes from a religious viewpoint. It is taken from the popular ‘Revive our Hearts’ radio series, and challenges readers to live a life of intention and thankfulness for God and the blessings of others to discover true joy. 365 Thank Yous: The Year a Simple Act of Daily Gratitude Changed My Life, by John Kralik (Amazon) – This follows the journey of the author who, inspired by a simple yet beautiful thank you note he received, set himself the goal of writing 365 thank-you notes in a year. The Gratitude Diaries, by Janice Kaplan (Amazon) – Taking advice from a range of professionals, Kaplan shared both personal experiences and extensive research to explore how gratitude can transform every aspect of life. In this warm, funny book, Kaplan shares with her readers the value of appreciating what you have. Everyday Gratitude: Inspiration for Living Life as a Gift (Amazon) – This is a beautiful collection of quotes and reflections that set out to help readers discover gratefulness as the key to happiness. It makes a perfect gift. The Psychology of Gratitude, editors: Michael McCullough, Robert A. Emmons (Amazon) – This text combines the work of prominent scientists from a range of disciplines to look closely at gratitude. It covers historical, philosophical and theoretical foundations of gratitude, then presents current research from a wide variety of sources. Words of Gratitude Mind Body and Soul, by Joanna Hill and Robert A. Emmons (Amazon) – Words of Gratitude looks at a study showing that gratitude resulted in more positive emotional states and led people to be more helpful to others. In the introduction, Brother David Steindl-Rast writes, “Love wholeheartedly, be surprised, give thanks and praise – then you will discover the fullness of your life”. Attitudes of Gratitude: How to Give and Receive Joy Every Day of Your Life, by M. J. Ryan (Amazon) – This is a collection of thought-provoking essays, teaching readers how to discover and distill a sense of gratitude in every aspect of our lives. It includes practical suggestions to enable readers to unlock the fullness of life. Living in Gratitude: A Journey That Will Change Your Life, by Angeles Arrien (Amazon) – Angeles Arrien asks readers to think about making gratitude their focal point for a whole year. Bringing together teachings from social science, she presents a 12 month ‘gratitude plan’. Thanks! How the New Science of Gratitude Can Make You Happier, by Robert A. Emmons (Amazon) – Emmons provides an in-depth study of the wide range of benefits that can be achieved by a person systematically cultivating gratitude. Oliver Sacks is a famous author. Below, a summary of his book, ‘Gratitude’, available here from Amazon. This work is a posthumous gift from Oliver Sacks, a famous neurologist and author of many books including ‘Awakenings’ (1973) and ‘Musicophilia’ (2007) (McAlpin, 2015). He was diagnosed with terminal cancer, and before he passed away only 8 months later, Sacks wrote a collection of essays describing how he wanted to spend his last days and how he felt about dying (McAlpin, 2015). “above all, I have been a sentient being, a thinking animal, on this beautiful planet, and that in itself has been an enormous privilege and adventure” (McAlpin, 2015). When told he had terminal cancer, in January 2015, Oliver Sacks had a newfound sense of clarity about not wasting time on the “inessential” and rather a need to focus on “myself, my work, and my friends” (McAlpin, 2015). In ‘Gratitude’ Sacks shares with the audience his Orthodox Jewish upbringing and his sexuality, which he also described in his book “On the Move” (McAlpin, 2015). The book focuses on ‘what is meant by living a good and worthwhile life – achieving a sense of peace within oneself’ (McAlpin, 2015). Sacks conveys this peace in his collection of essays, which leave readers feeling tranquil and with a sense of gratitude (McAlpin, 2015). 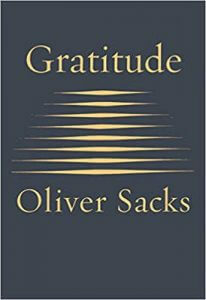 As Oliver Sacks states himself “My predominant feeling is one of gratitude” (McAlpin, 2015). Would you like your kids to be more thankful? Have an understanding of gratitude? There are many good children’s books on the topic, some are listed here. Again, links to Amazon are provided for your convenience. The Thankful Book, by Todd Parr (Amazon) – Todd Parr’s book celebrates all the little things that children can give thanks for… so, for example, “I am thankful for music because it makes me want to dance” and “I am thankful for kisses because they make me feel loved”. Bear Says Thanks, by Karma Wilson (Amazon) – Bear decides to throw a feast to say thanks. Each of his friends comes along with a plate of tasty food to share. However, there is a problem…Bear’s cupboards are completely bare! What will he do? Being Thankful, by Mercer Mayer (Amazon) – Mercer Meyer has been writing and illustrating stories about “Little Critter” and the antics he encounters while growing up since 1975. Being Thankful shares Little Critters journey to learn why it is important to be thankful for all that he has, rather than being upset about what he doesn’t. The Thankful Book (An Elephant and Piggie book), by Mo Willems (Amazon) – Tells the story of best friends, Gerald and Piggie, who are polar opposites. In The Thankful Book, Piggie wants to thank EVERYONE. However, Gerald worries that Piggie will forget someone very important. Thanks a Million, by Nikki Grimes (Amazon) – This book comprises of 16 amazing poems, ranging from a haiku, to a rebus, to a riddle. Grimes reminds readers how terrific it feels to be thankful, and how meaningful a simple “thank you” can be. Gratitude Soup, By Olivia Rosewood (Amazon) – A rhyming, colourful picture book telling the story of Violet the Purple Fairy, who learns to make a “gratitude soup” made up by thinking all of the things, people, places and experiences she is grateful for. Modern technology has really opened up the world for positive psychology. Maybe you want to keep a daily gratitude journal but seek the convenience of an app… here are 5 apps that can help you introduce more gratitude into your day. Grateful was developed to make expressing gratitude both easy and fun. By recording your blessings in Grateful, during those ‘down’ moments you can be reminded of all the things in your life that you have to be grateful for. Accessible here from their own site or from Google Play. Available from the “App Store”, Gratitude 365 features a function which allows you to create a daily entry and list anything that you are thankful for that day. You can even select a photo for the day, which can be viewed on the one screen in the form of a calendar. Gratitude Garden is an app devised to encourage gratitude practice by recording 3 good things which have occurred over the past 24 hours. It encourages you to note these good things in order to collect points, which you can then use to build up a garden. This is a private gratitude journal app allowing you to record happy moments each day. As well as securely recording these moments as they happen, Happyfeed also writes fun, silly, and informative daily reminders. The more you use this app, the more valuable it becomes. Head here to get the app. 1. Playlist: Give Thanks – This link provides a quick ‘go to’ to find TED Talks that will help you come up with huge amounts of gratitude. 2. David Steindl-Rast: Want to be happy? Be grateful. – Brother David Steindl-Rast is a Benedictine monk who writes on the “gentle power” of gratefulness. In this talk, he suggests that happiness is born from gratitude. His inspiring lessons encourage the audience to slow down, look where they are going, and above all else, be grateful. 3. Louie Shwartzberg: Nature. Beauty. Gratitude. – Through Louie Schwartzberg’s stunning time-lapse photography, the beauty of nature is captured. The video, which is accompanied by the powerful words of Brother David Steindl-Rast, can be used as a meditation to reflect and be thankful. 4. Ed Gavagan: A story about knots and surgeons – Ed Gavagan was on the street one day in Manhattan and was the innocent victim of a gang assignment to kill a random stranger. Gavagan’s story about one horrifying moment that changed his life forever is a tale of crime, skill, and gratitude. 5. AJ Jacobs: My journey to thank all the people responsible for my morning coffee – Jacobs, an author, decided to go on a quest based on a simple idea – to personally thank every person who had helped make his morning coffee. Over 1000 “thank yous” later, Jacobs recounts his globe-trotting journey and also shares the life-changing wisdom that he gathered along his way. 6. Chip Conley: Measuring what makes life worthwhile – This talk is by hotelier Chris Conley, who was looking for a business model based on happiness. He found answers in an old friendship with an employee, along with the wisdom of a Buddhist King. Got some spare time? Why not spend some time on YouTube learning more about gratitude?! 1. The Science of Gratitude – A short video giving an easy-to-understand explanation of the science underpinning gratitude and its’ benefits, plus some easy techniques to implement in order to ‘cultivate the attitude of gratitude’. 2. Gratitude: The Short Film, by Louie Schwartzberg – In this beautiful video, Louie Schwartzberg sends a powerful message – to open our eyes and feel grateful for this day, the beauty surrounding us and the people whom we meet. This is the perfect, heart-warming film to watch as a pick-me-up if you are feeling a bit blue. 3. An Experiment in Gratitude – The Science of Happiness – Have you ever stopped to think about what makes us happy? This video takes an experimental approach on what makes people feel happy. A really fun way to learn about gratitude and happiness. 4. Robert Emmons: The Power of Gratitude – In this informative video, prominent Positive Psychology expert, Robert Emmons provides a thorough explanation of how gratitude can allow us to heal, and how it has the ability to energize and change our lives. An easy way to hear about Emmons’ research. 5. Gratitude: The Most Powerful Practice You’re Not Doing – Marie Forleo explains about ‘gratitude fatigue’ and explains how gratitude journaling can be an especially effective way to promote well-being if done with specificity. According to Forleo, “detail brings dividends”. 6. Robert Emmons: Benefits of Gratitude – Another video featuring renowned researcher Robert Emmons. He shares the rationale behind his research, and explains that gratitude can lead to better health, more happiness and stronger connections to others. 7. The Power of Gratitude – A beautiful short video to watch, starting with the quote, “Gratitude is the fairest blossom which springs from the soul,” by Henry Ward Beecher. 8. How to Create Daily Habits of Gratitude and Appreciation – Jack Canfield shares his suggestions to making gratitude a daily habit. One that is not just at Thanksgiving. Instead, learn how to practice gratitude all year. This video provides some practical tips to making gratitude a habit. 9. Guided Meditation for Gratitude – This video sees Linda Hall guide viewers through a meditation. Such practices help with stress and anxiety. Mindfulness meditation for personal development along with gratitude practice are shown to help depression, insomnia and chronic pain. 10. Practice Gratitude, Learn to Say Thankyou – How do we address our need to make things better, and appreciate what we have? How do we learn to be more grateful? This brief video shares an enthusiastic argument for practicing gratefulness, and saying “thank you”. ‘Gratitude, gratitude, gratitude’. The following links can help you access stories about gratitude… enjoy. In this story on Forbes.com, Homayun relays how reading John Krilak’s book called ‘A Simple Act of Gratitude’ helped him to cope with his life following the sudden death of his father. The book inspired him to think about the people he should thank, and subsequently he wrote thank-you notes to these people. This website gives some background information about gratitude, which is interesting. It also contains links to three stories about gratitude – Aesop’s “Androcles and the Lion”, a folktale from Japan called “The Grateful Crane” and “King Midas and the Golden Touch”. This article, appearing in the Reader’s Digest, is an inspiring story about a teacher’s experience of setting her class a task in which they reflected upon what they had to be thankful for. This is essentially a children’s story, however reading “An Octopus in Trouble” is a heart-warming way to capture the power of gratitude in just a few minutes. This short story conveys a powerful message about being thankful, by telling the story of a young blind boy who was begging for money, and the help he received from a kind stranger. The modern classroom sees teachers educating about far more than literacy and numeracy. Social and emotional learning is now incorporated into the curriculum. Teaching gratitude provides students with a terrific life-skill. Here are some resources to utilize in planning gratitude lessons. After an initial ‘activation of thinking’ exercise, brainstorm about gratitude. Then, students can watch a video, such as Gratitude HD, Moving Art on YouTube, and jot down reflections from it on post-it notes. Then, in pairs, work through guiding questions. Then, the teacher introduces a book that is age-appropriate. After the story, in pairs, have students discuss what they noticed in the book, what they connected with, and what they are thankful for. Use photos, calendar images or Visual Talking Cards to provide a starting point for a discussion about gratitude and sharing knowledge among the class. Before closing the lesson, use an ABC Brainstorm Template (available from the link provided below) to generate a list of things students are grateful for. Find the lesson idea here at its source (Heart-Mind online, 2014). This lesson is designed for students to be given the opportunity to identify ways that they have acted with kindness and caring towards others. Firstly, provide an explanation to the class about feeling grateful and have a discussion. Then, have the students close their eyes and visualize someone they have been kind to or helped, and to recall how this made them feel as well as what the other person said or did. Ask students to open their eyes and share what they visualized. Then, ask students to draw a picture of what they visualized and write a caption to go with it. Alternatively, students could write a short paragraph about it. To extend this lesson, older students could be encouraged to record times when they show kindness to others, the reasons why they did, and how they feel, in a gratitude journal. Or, the class could be prompted to talk about an act of kindness they could do for someone in the school and the teacher can help them put this into action. The class lists as many different fruits as they can. Then, they vote on which fruit is the favorite fruit of the most people in the class. Then, guide students through a visualization of all of the people who have acted to make it possible for them to be able to enjoy this fruit. In groups of four, students discuss the visualization and on a large piece of paper, draw all of the people, tools and natural elements necessary to produce the fruit. As students draw, discuss the many people involved in the process of making the fruit available, and prompt the class to think about how they would show gratitude to all of the people – and they then add this to the drawing. The following day, bring in some of the fruit that the students selected (being sure no student is allergic) and ask them to think of all of the properties of the fruit and reflect upon all the people involved in its production. Finally, before the class enjoys eating the fruit, invite them to recall the expressions of gratitude that they wrote on the drawings and to feel that gratitude. This exercise is designed to help students understand that they can feel gratitude to people whose actions have benefit the whole of society, and that these benefits can be felt as long as centuries later. Students identify a historical figure who did something that they feel grateful for. Then, helps students visualize the person, what it would be like to be with them, and the sense of gratitude the student has. Following this, students write an essay looking into what the person did that they were grateful for, and consider the intention and motives of the person. Students should also think about the ‘cost’ of the figure’s actions, not only in terms of money but more general personal sacrifices. Ask students to reflect upon how they have benefited from the person’s actions and how the whole of society may have benefited. To conclude the lesson, the class can present brief summaries of the historical figure they researched. Here are the original sources for Lesson Plans 2-4 above (Zakrzewski, 2016). What better way to help students learn more about gratitude than by showing a video? Here are links to some videos suitable for students. 1. Students Discover the Power of Gratitude on a Community – Students can relate to the activity undertaken by the students in this video. Delivered by a teacher, Whitney Cole who works in an elementary school in Sacromentio, this short video features students using a gratitude journal and examines the impact of this practice for the students outside the classroom. This video is more suitable for older students. 2. Gratitude: Teaching kids to be thankful – By ‘Douglas Talks’ this video, of Douglas, explores how he learned to have an attitude of gratitude. He learned that the happiest people are people who are grateful for what they have. Do note, however, this video does have a religious component. 3. Long Story Shortz – My Gratitude Jar – Written and Narrated by Kristin Wiens – This video features the author and illustrator reading her book “My Gratitude Jar”. The book tells the story of Jacob who is a young boy who learns the value of daily gratitude practice. 4. Kid President’s 25 Reasons to be Thankful – ‘Kid President’ shares his list of 25 things that he is grateful for. A short video that is fun and informative for children of school-age. 5. Motivational Videos: My shoes – This video teaches students to always be grateful for the blessings they have. It also lets students know they need to work hard if they want to achieve something. This comprehensive resource offers the latest gratitude worksheets for therapists. It includes, for example, a positive journal worksheet, star jar worksheet and life story worksheet. Produced by Allina Health, this sheet looks at ‘overlooked blessings’ and reflections on positive things about the individual’s health and body, activities they enjoy, and relationships they are grateful for. Finally, the worksheet prompts individuals to write a gratitude letter. This worksheet provides a template for a daily gratitude journal, with room to record three things in the last 24 hours the client is thankful for, and three things that they are looking forward to in the next 24 hours. This provides a gratitude journal activity creating a list of 100 things an individual is grateful for by completing 5 mini-lists, each containing 20 lines. For example, the prompt for the first list is to “list 20 things that you are grateful worked out for you…evidence that the universe is on your side”. The Gratitude Podcast is by Georgian Benta. It is devoted to all things gratitude, with over 500, 000 downloads. It includes interviews with successful people and getting them to share fascinating stories about how gratitude has helped them get to where they are now. Episode 18 of the ‘Being Well’ podcast sees Dr Hanson and Forrest discuss the 5th of 12 strengths to be examined in the series – gratitude. They look at the role of positive emotions generally and especially the value of “thankfulness”. This podcast, “Why Gratitude Works” is by Christine Carter and Rona Renner. In it, these experts discuss the science of gratitude and the reasons why consciously practicing gratitude can improve people’s happiness so markedly. This podcast looks at the power of gratitude. The presenters explain how being grateful is actually scientifically proven to be beneficial. Shawn Achor, sometimes known as “The Happiness Guy” also shares his ideas on why we ought to be thankful. There is also a discussion of the small things in the presenters’ lives that they are grateful for. Featuring acclaimed author and grounded theory researcher, Brene Brown, the topic of this podcast is “On gratitude, vulnerability, and courage”. When gratitude and the power of appreciating the smallest moments were discussed, the podcast became emotional. This relatively short podcast, featuring Lewis Howes from the School of Greatness, looks at developing an ‘attitude of gratitude’. Howes shares both expertise and personal experience – such as almost losing his father in a car accident, and how he learned not to take things for granted. This podcast is slightly different to the others discussed above. It looks at gratitude as a skill, and how to build this skill. There is a lot covered in the podcast. If you don’t have the time, or the inclination, to listen to a podcast a summary of the points covered is available on the site which is accessible from the hyperlink provided. Looking for a quick way to assess how grateful you are? These quizzes and questionnaires are readily available on the internet. Greater Good at Berkeley Quiz – This 20-item quiz is based on a scale developed by psychologists, Mitchel Adler and Nancy Fagley. It is available online, and completion will give an overall gratitude score, as well as being given steps on how to promote further gratitude in life. This is the GQ-6 , a brief questionnaire that may take as little as about 30 seconds to complete. It was devised by Michael E. McCullough, Ph.D., Robert A. Emmons, Ph.D., Jo-Ann Tsang, Ph.D. The GQ-6 gives an impression of how grateful a person is already. It consists of 6 questions, with responses in a Likert-type scale from ‘strongly disagree’ to ‘strongly agree’. This is a quick, easy-to-read look into gratitude and thankfulness. The article, available here also looks at the benefits of gratitude. A good starting point. A really interesting look at how to start a gratitude practice to change your life, by Helen Russell. This post also includes nine steps to follow to start a gratitude practice. This is an entry on The Positivity Blog, looking at the power of gratitude. It provides 5 small tips to begin a lighter and happier life from now. An article by Marelina Fabrega, which explores how gratitude can change your life. It covers some background research on this topic, as well as providing tips on cultivating gratitude. This blog post, compiled by Jessica Gross, provides suggestions for what to read and watch in order to get into a thankful mindset. This site, ‘Grateful’ looks at a blog series on gratitude. Links are provided to 3 related posts – “I’m grateful, but not necessarily content”, “Three ways to boost your attitude of gratitude” and “Guilt-free gratitude”. Searching the internet can be time consuming and frustrating. My aim in putting this article together was to come up with a comprehensive guide to resources available on gratitude. The resources vary in form, from books, to apps, TED talks and more. I hope that you find it helpful. I welcome feedback on this article, and would be interested to know if you found it helpful.